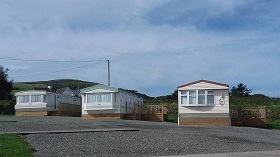 All Mobile Homes are privately owned. We DO NOT rent or allow sub letting of mobile homes in our Park. Each site is leased on an annual license agreement. 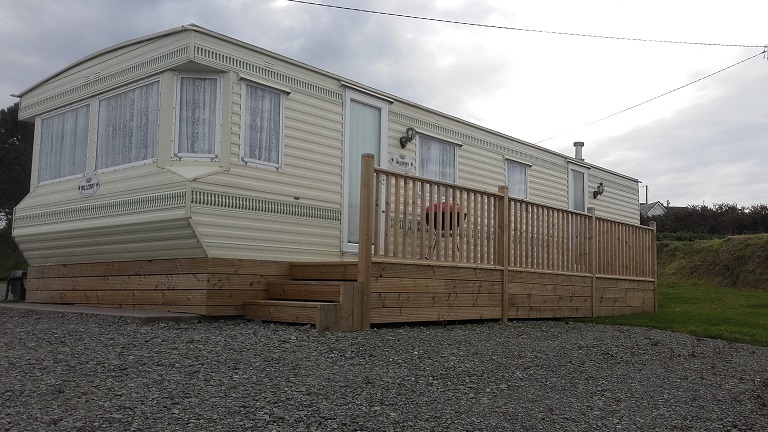 Our Park is available on a seasonal basis, from 1st April to 1st October 2017. 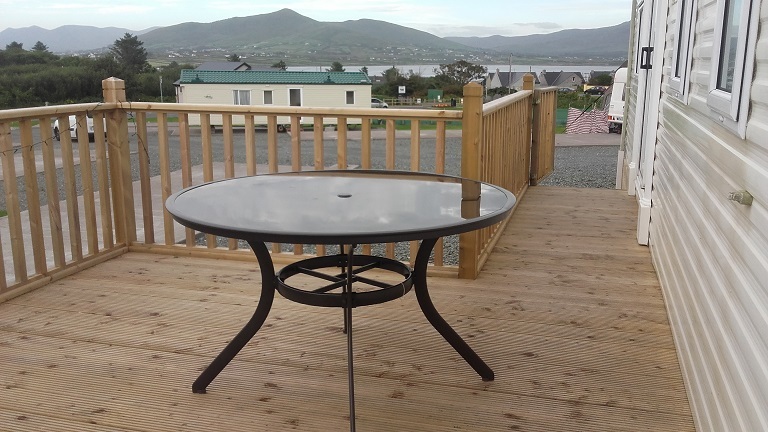 The site fee is €1900 per annum, payable by 1 March 2017. 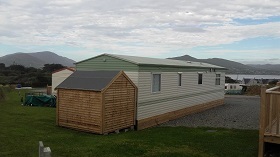 We can source a Mobile Homes to suit your personal needs from any of our suppliers. 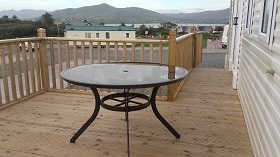 Sale prices include connections to sewage waste, water, electricity and decking. Each mobile home must have deck skirting, steps and gas cylinder cover (price included in sale). 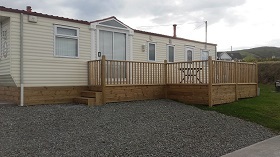 Our Park offers a variety of sites with sensational views, available for both static mobile homes and static caravans. Electricity (16 Amp) and water is metered. Dogs are permitted but must be kept on a short lead at all times. 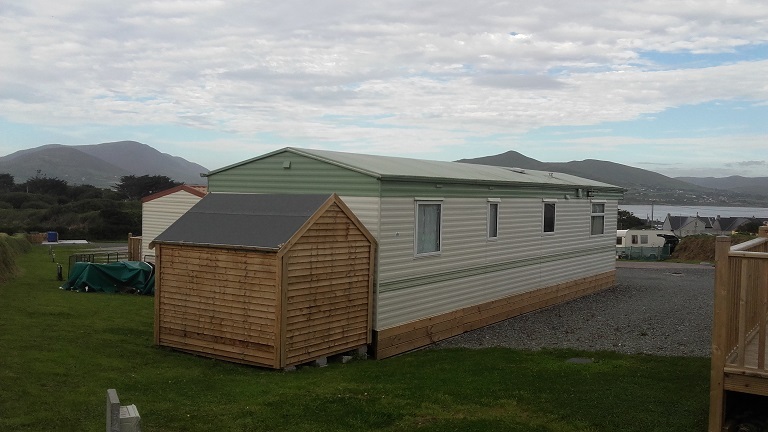 Our facilities building is equipped with reception, games room, ladies/gents showers and toilets, disabled showers and toilet, baby change area and laundry room. 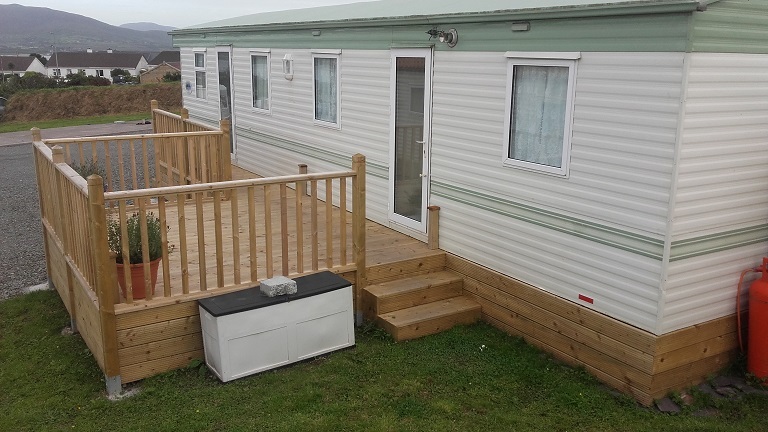 Our Park is located within walking distance from Knightstown village, Cracow Park & Playground and many other local attractions.